James F. McGrath has an interesting and relevant posting on his blog Exploring our Matrix on Nov 27: “I just recently started meeting with some colleagues and a student in a Greek reading group. I suggested to a colleague in Classics that it might be interesting to read Philo of Alexandria together, and she got very excited about the idea, and some other colleagues in Religion also expressed an interest. And so lately, I have felt disconcertingly like I am back in Greek class, wondering why the verses that I end up with when it is my turn to read and translate are so difficult, while those others end up with seem comparatively easy. Of course, if I had been preparing …… Read more here. May be some more should try to get together reading Philo in Greek? Every year during the SBL Annual Meeting, some Philo scholars use to get together and go out for dinner. 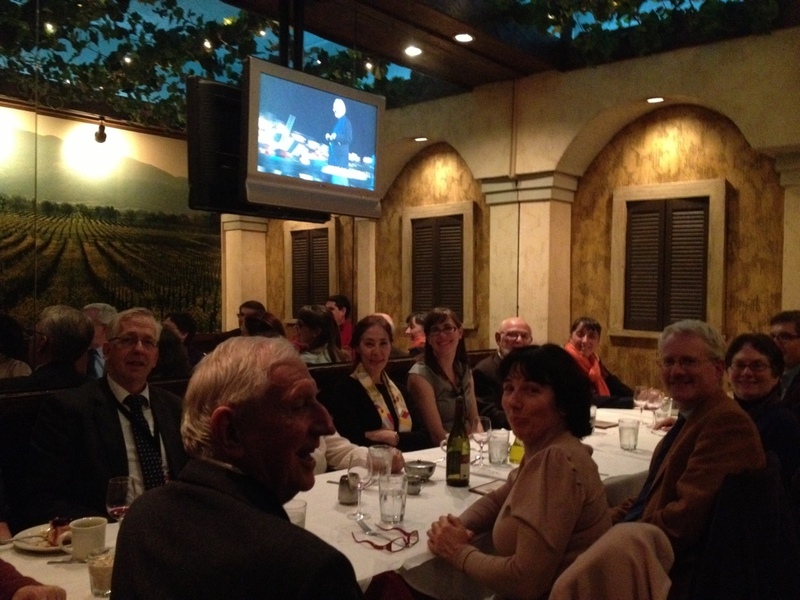 This time we went to the Italian Village Restaurant on West Monroe Street, ca 15 of us. From left; me (T.Seland), then alas, F. Calabi is hidden behind the head of F.E. Brenk, furthermore, on the other side of the table; P.N Hernandez, J. Otto, D.Konstan, S. Gambetti; on the other side of the table from right, you might see R. Bloch, E.Birnbaum, A.Geljon, and C. Carlier. Then in addition, the following persons were present; R. Cox, J. Reddoch, and AM Seland. 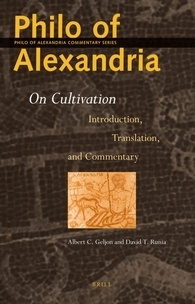 Philo of Alexandria Commentary Series Vol 4. Leiden, Brill 2012 (Nov).Approx. 305 pp. Hopefully, it will be out and available at the SBL Annual Meeting at the end of this week. Bring some extra money (! ), it’s not cheap: €112.00 //$156.00. The aim of this panel is to open up new evidence or revisit old questions about who read and made use of Philo’s writings in the past. Thanks to a message from James McGrath on FaceBook, I became aware of the fact that AAR/SBL have now issued their new Annual Meeting 2012 app for Iphone/Ipad. This is the second time we have such an App, and the former, issued last year, was very helpful when trying to make a schedule of what/where/when to attend a particular session. • Native app: No wifi connection required to access the conference program, schedule or animated maps. • Now: Stay informed about hot issues, event program changes, your upcoming sessions and organizer messages. • Program: Browse the entire event program to build your personal schedule, bookmark sessions or speakers, or access session handouts as available. • Take notes and email them as part of your trip report for reference. • Exhibitors, Maps, related conference info and much more.